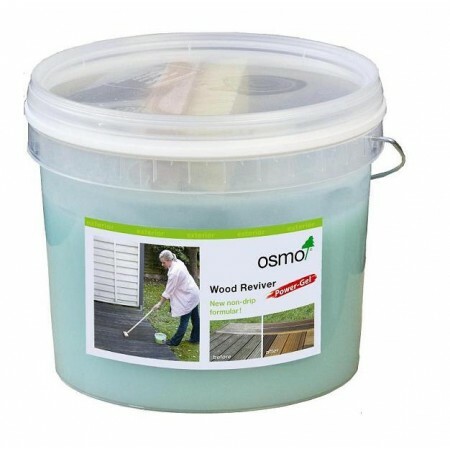 Osmo Wood Reviver Power Gel is a special cleaning agent with a high viscosity. Perfect for refreshing and cleaning greyed wooden surfaces. The wood regains its natural character and almost its original colour. The product is free from solvents, formaldehyde, chlorine compounds and amines. 3. After 48hrs protect the newly invigorated wood permanently with a new coat of Natural Oil Woodstain, Wood Oils, Country Colour etc.